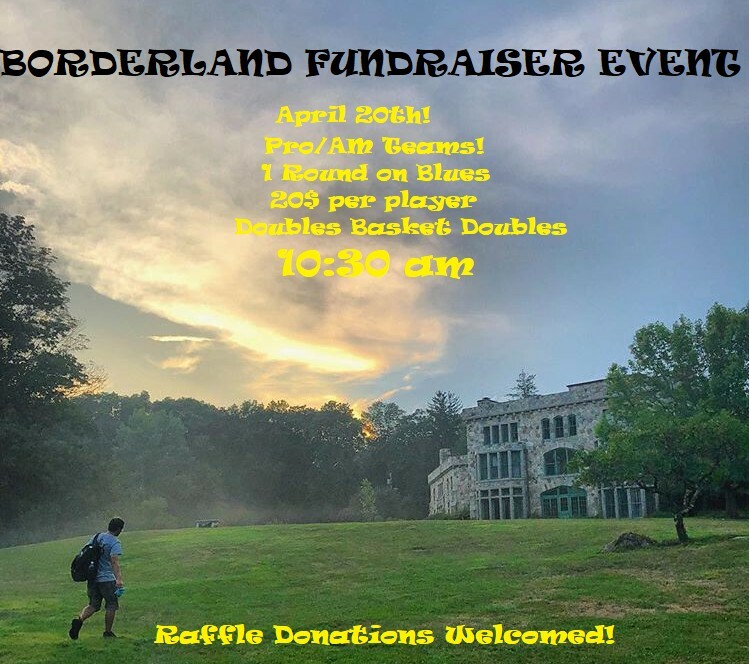 Borderland is excited to bring this 1 round fundraising event to help bring new pavers to the club. Our focus will be to work on Blues first followed by Whites. With your participation and donations we'll be one step closer! This will be a team based event where we encourage a Pro to play with an AM, or an Am to play with another AM, just no Pro/Pro teams! Round - 1030 - 1:30 p.m.
Each player drives, and then each plays out the other's lie for the rest of the hole. At the conclusion of the hole, one disc must finish in the blue basket, and the other in the white. Score for the hole is the two players' throw totals combined. Depending on available material, we may try and build the first few teepads shortly after the event . If you're interested in the learning process stand by after the event an and come by to join us. If you played a PDGA event and accepted cash as MPO or FPO you are considered a pro! Raffle Donations Welcomed!! Please contact Raivis Markons-Craig via email ([email redacted]) if you have any questions or like to donate something for this event. See you there! Borderland Disc Golf Club is responsible for all refunds and cancellations.